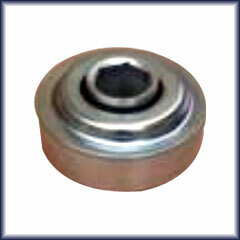 Spherical Roller Thrust Bearings are given on vertical motors only. These bearings can support extremely high thrust loads which can range up to 300% of standard thrust capacity along with moderate radial loads. Reload springs are required to supply minimum down thrust to bearings at start up in order to prevent bearing skidding.